Here are my screen printed Christmas cards this year! 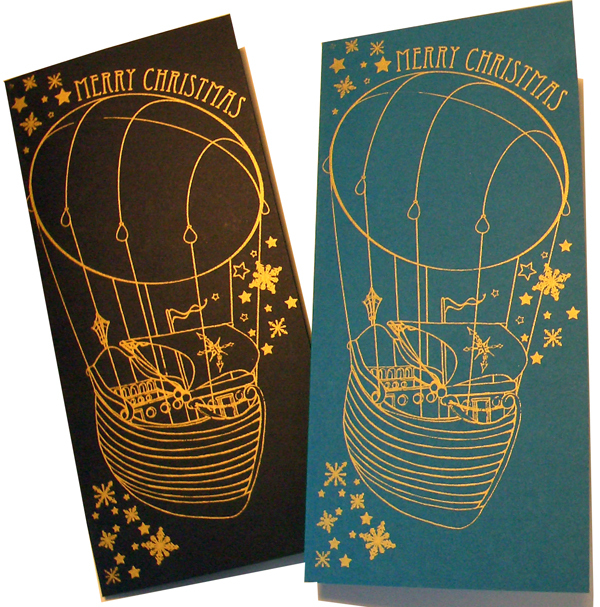 The title is ‘The Snowflake Boat’ -they are printed on black or dark turquoise card with gold ink! (yes that’s right my friends, I’m busting out the gold ink this year.) I have a few left over so if you would like to have one for your very own send me an email with your posting address! -ho ho ho and all that!